Start researching organics, and you'll see a slew of debates regarding everything from their nutritional content to their ability to feed the world. If you're new to the organic marketplace, you're to be excused if you feel as if it's all a bit too much. Learning the facts about organics (as opposed to the common myths) can help you be a more informed shopper. 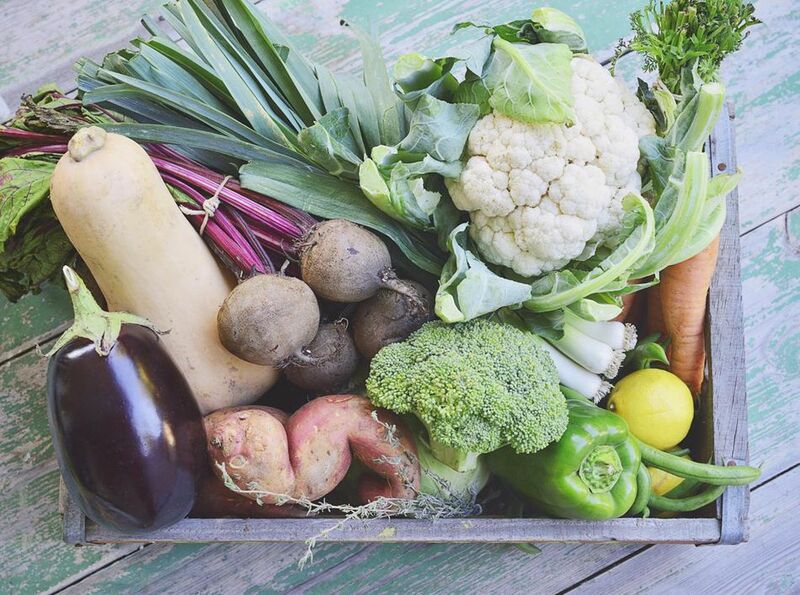 Here's a rundown of the top eight organic myths, plus the facts on each. Too often people focus on the idea that organic food is not substantially more nutritious than conventional food. It's true that some studies have shown organic food is not more nutritious than conventional food, but other research says the opposite. However, nutritional content (while obviously important for good health) really isn't the most important point when it comes to the ongoing organic vs. conventional debate. The most important point is the pesticide content. Here's a quick fact: Pesticides are poisons designed to kill things. There are pesticides designed to kill bugs, larger animals, weeds, and more, but they're all made to kill. Ask yourself: Is it healthier to eat poison, or to not eat poison? Nutrients aside, why eat a substance specifically designed to kill life when other poison-free options are available? Pesticides are bad. Very bad. Beyond the fact that pesticides are poisons designed to kill, many of them (organochlorine pesticides in particular) are absorbed by the human body in such a way that even long after you ingest them, they remain in your body, building up as the years go by. In fact, consider this: DDT is an organochlorine pesticide that everyone thought was safe, but as it turns out, DDT was seriously dangerous and was banned in 1972. With this in mind, you'd think DDT would have vanished. However, the effects of DDT were so strong that it's still showing up in the bodies of people today, including in people born after DDT was banned. These long-lasting pesticides are also still found in nature, within soil and water systems. Additionally, runoff from pesticides used on farms or during production is known to kill animals, plants, trees and cause pollution. In people, pesticides cause many health problems. Yes, organic food can be expensive, but plenty of organic food is affordable. In many cases, organic food may cost less than conventional food. In addition, conventional food has some hidden costs, such as health costs related to issues caused by pesticides and the costs of cleaning up the environment once we unleash chemicals and pesticides. If you're trying to circumvent organics by purchasing other, semi-related food labels, you're should be aware that you're not always getting what you think you are. Labels such as free-range, natural and locally grown do not mean the same thing as organic. In some cases, labels like "natural" mean absolutely nothing. Organic products labeled with the USDA organic seal must be grown and processed under strict rules. Other labels do not have these same rules and often, no rules at all. Minus one major exception (organic body care), the organic label, when seen on a product, is much more trustworthy than other food and product labels. Organic farming and livestock raising is time intensive and can cost more, which to many doubters translates to "this will never feed the entire world." But that's just not true. Long-term trials completed at Iowa State University found that organic growing methods produce similar yields to conventional, while the organics also resulted in better soil quality over time. Rodale Institute’s The Farming Systems Trial, the longest ever research done on organics, shows that organics can feed the world while providing environmental benefits conventional food cannot. There have been a number of taste tests where the average person can't tell the difference between organics and conventional food. However, this is obviously a very subjective measurement. Part of the problem may have to do with personal preference, and part may have to do with the fact that people buy shipped-in organics when they should buy local, closer-to-home grown food. Any food that sits in a truck or plane for days just won't taste as good as local. I've been eating organics for years, and I can tell the difference. One good easy example is ketchup. Pick up a bottle of conventional and organic and try both. You'll see the difference. This myth has some truth to it since many people think organics are super eco-friendly. ​They're just not. That being said, organic foods are, in general, more eco-friendly than conventional foods. Organics, due to specific standards have some very specific environmental benefits. One recent poll shows that many consumers feel that organic is nothing more than marketing hype, created to make people spend more money. This isn't the case. Organics have many benefits and are grown with standards unique to organics that help maintain food and product safety, sustainability and biodiversity. Pay attention to all the myths above, and you'll see that organics are much more than simple marketing hype.